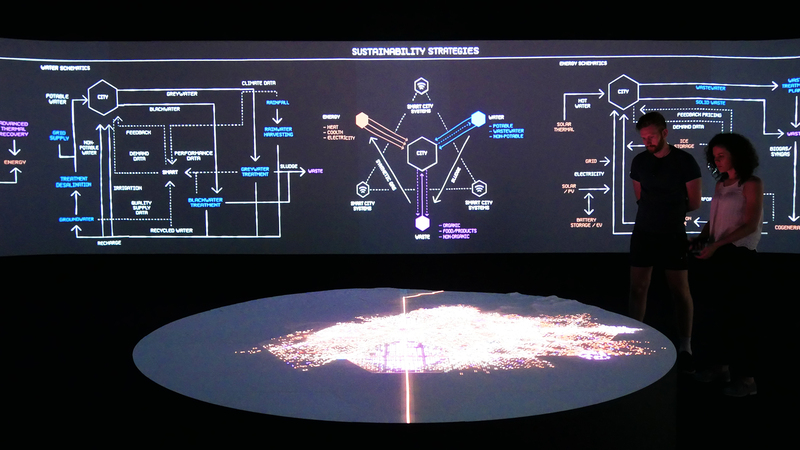 In partnership with Fernando Romero Enterprises (FR-EE) and Pentagram, SuperUber developed the space for Mexico in the first London Design Biennale (2016), under the theme “Utopia by Design”. 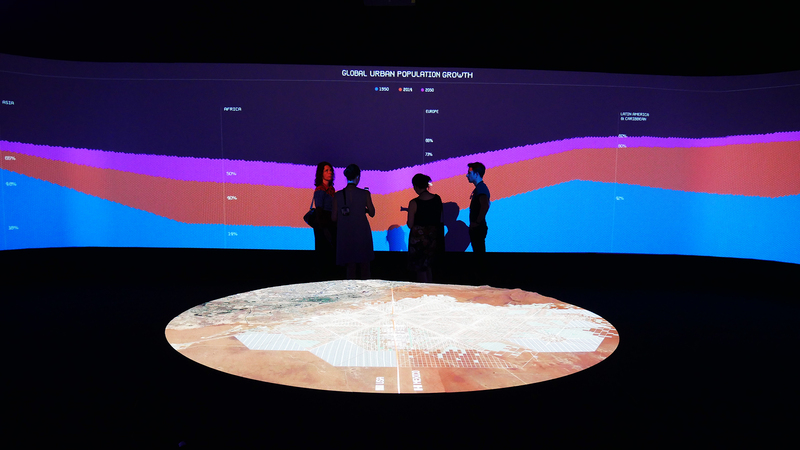 For 20 days, the event exhibited reflections from different cultures about the role of design in the coming decades. 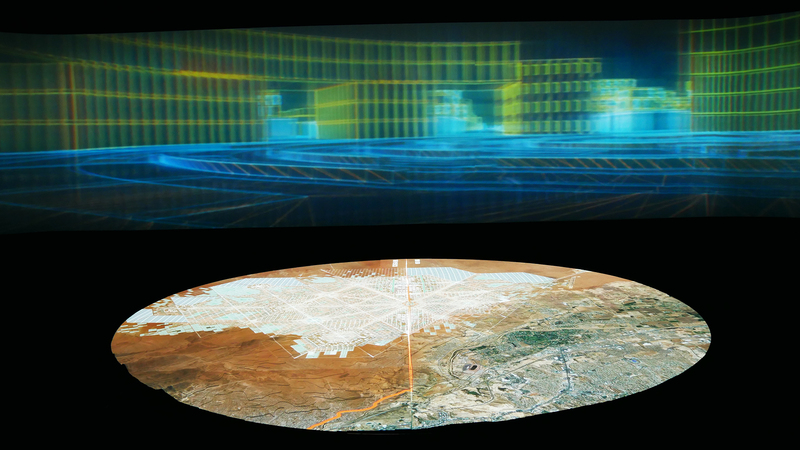 Designed by Mexican architect Fernando Romero, the project “Border City” presented the concept of a binational city in one of the most highlighted borders in the world: United States and Mexico, where more than 100 million people live. 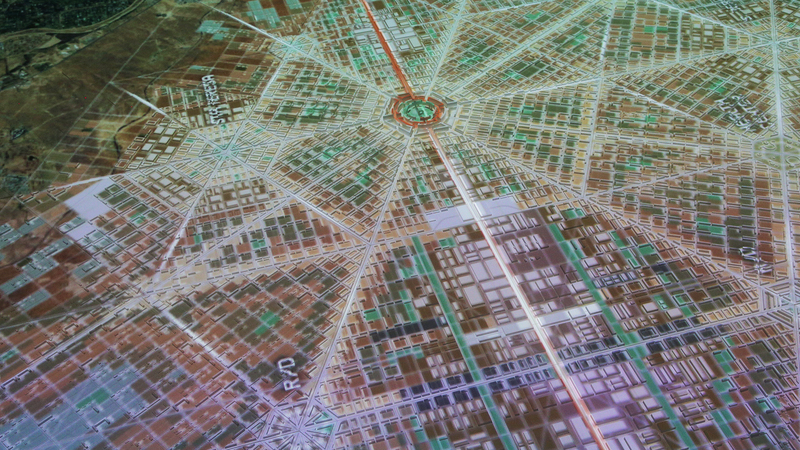 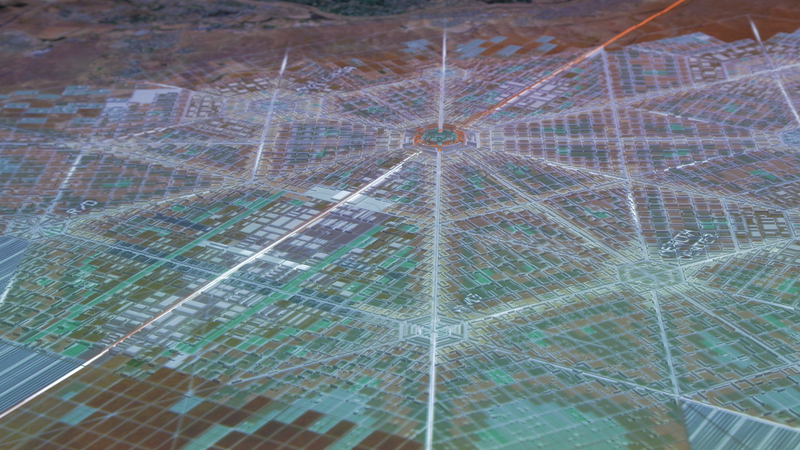 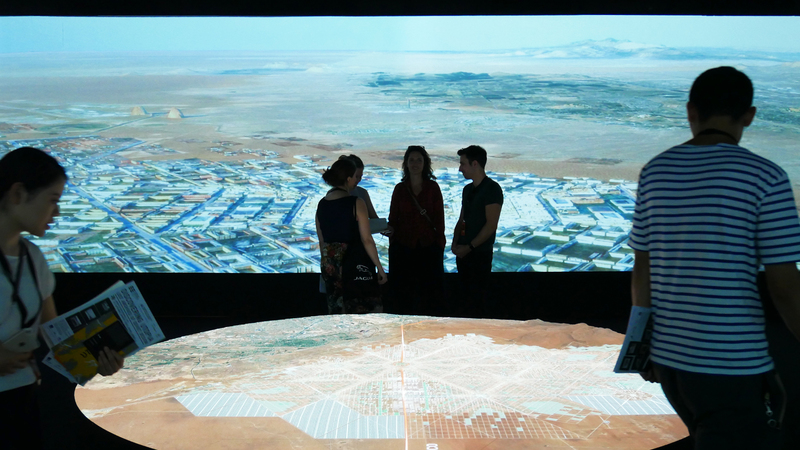 “At the center of the room there’s the model of Border City – an hexagonal sculpture with mapped projection. 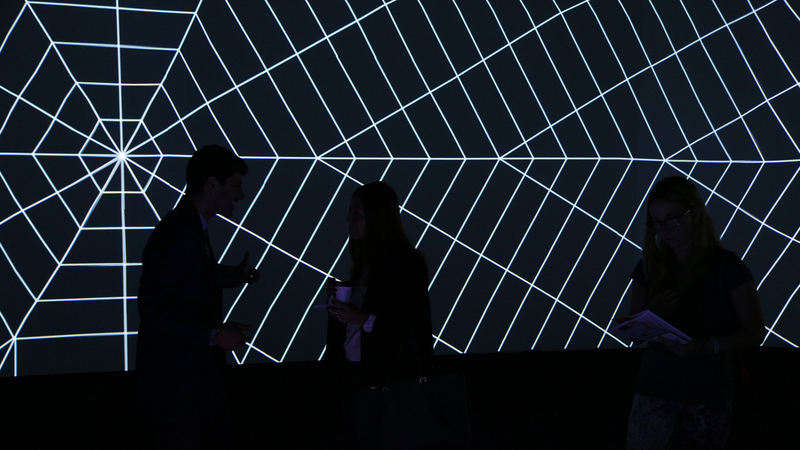 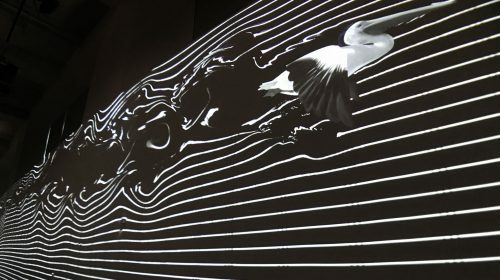 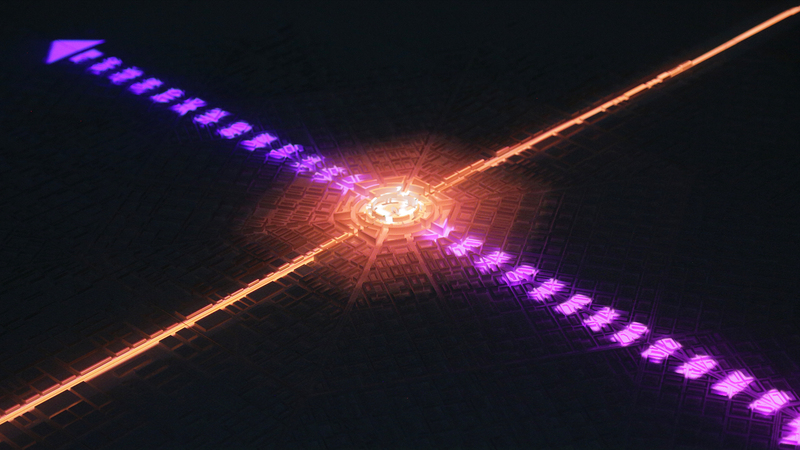 The space is symmetrical, with synchronized animations on the walls. 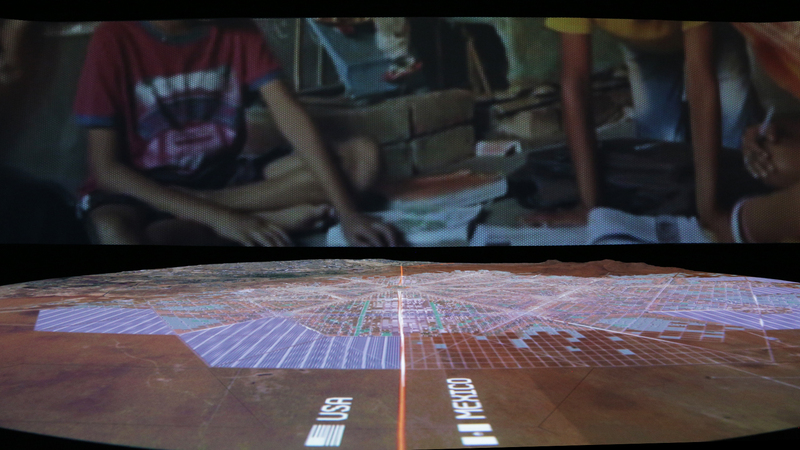 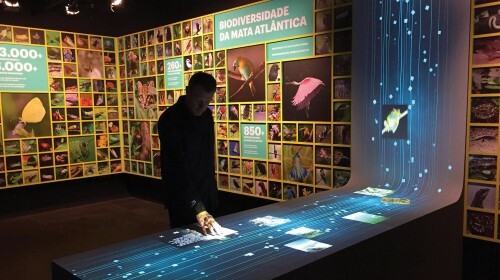 The experience immerses the visitor in the concept of Border City“, says Liana Brazil. 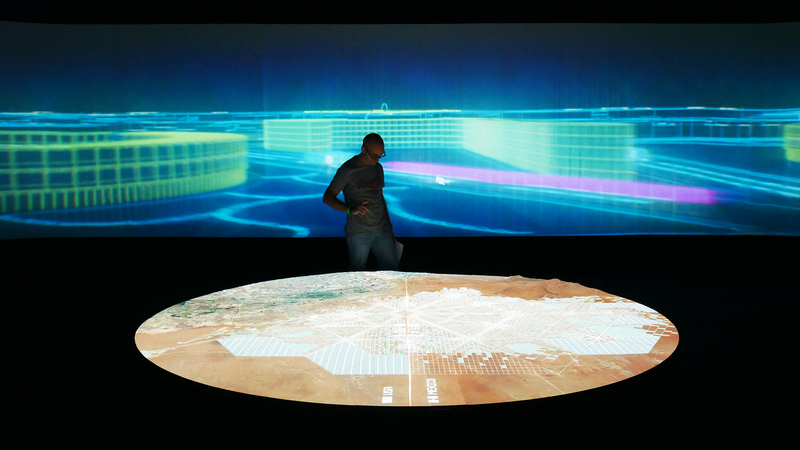 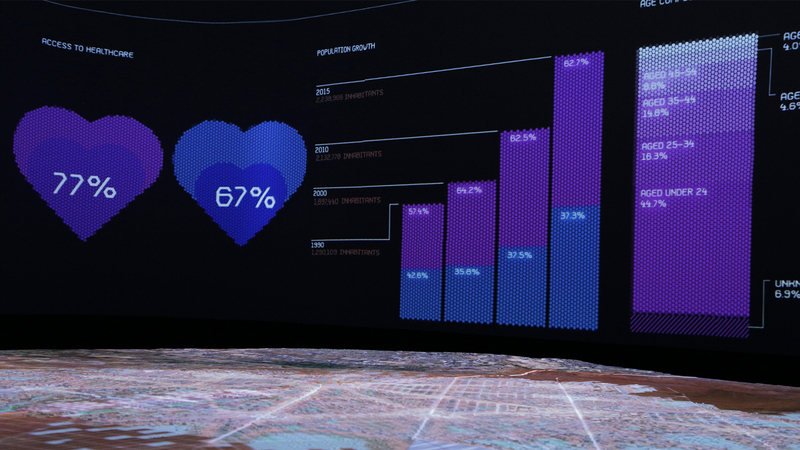 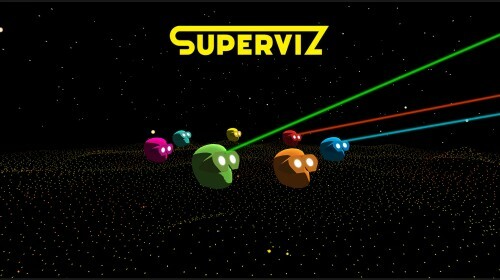 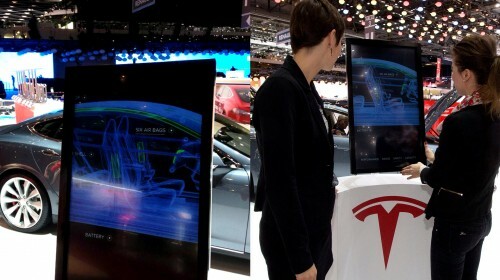 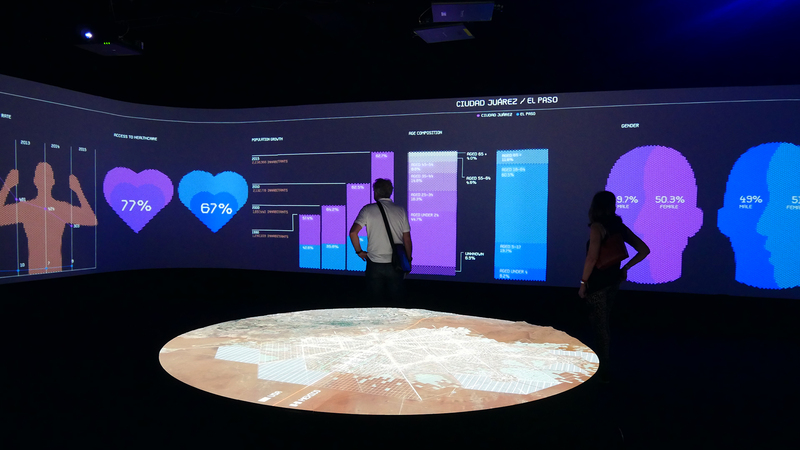 SuperUber transformed the FR-EE concept in an immersive, animated data visualization, creating an audio-visual narrative. 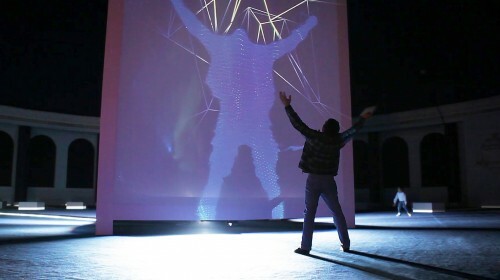 The project is a collaboration between FR-EE, SuperUber and Pentagram.